After a sale earlier this year failed to find a suitable buyer, the owners of a long-stalled historic rehab in Church Hill are moving forward with the project with a new development team. 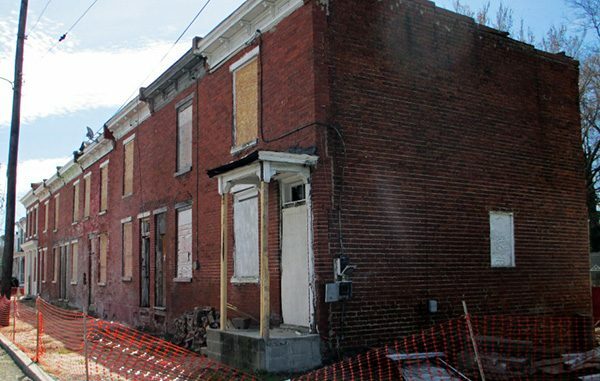 Construction is slated to resume this week on the so-called “O Street project,” a block of seven attached 19th-century rowhouses that local husband-and-wife investors John and Benedicte Whitworth have been eyeing for restoration since 2014. After a falling-out with their original developer, the Whitworths have assembled a new team that includes locally based UrbanCore Construction and Architecture AF, as well as Midlothian-based Village Bank, which is providing financing for the project. One South Realty Group, previously involved with the project, remains on board to market the homes. Earlier this year, the Whitworths had sought to sell the property, enlisting One South in February to solicit bids from prospective buyers. 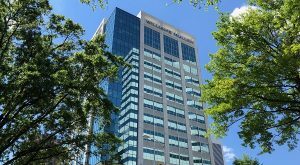 John Whitworth said Monday they received several offers, including two he described as adequate in terms of price but involved demolishing the existing structure in favor of new construction. 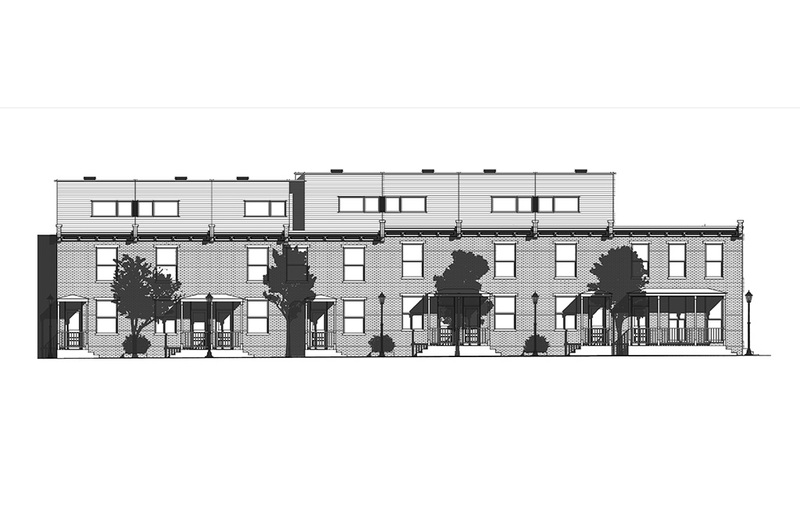 Where previous plans called for restoring and expanding the two-story units with 33-foot rear additions, plans now call for even larger floorplans with additional third floors and rooftop decks. 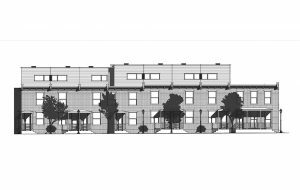 A new eighth unit still would be added on the western end, providing a bookend opposite an old corner store space at the intersection of O and North 26th streets that previously was converted into a 2,400-square-foot residence. The third-floor additions, set back 13 feet from the structure’s brick façade, will expand each unit to as much as 2,000 square feet, with some units just above 2,200 square feet. All of the restored units will include three bedrooms and 3½ bathrooms. The new unit at the western end will total 2,466 square feet and include four bedrooms and 4½ bathrooms. That unit will be priced in the low $400,000s, while the renovated units will start in the mid-$300,000s. Architecture AF is designing the units. Principal Forrest Frazier said he met the Whitworths and learned of the project after moving to Church Hill from New York last year. 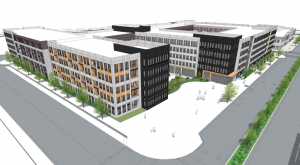 The firm’s local work includes a planned conversion of the McKinnon and Harris building in Scott’s Addition and a mixed-use building in Jackson Ward that recently earned the firm a Golden Hammer Award. 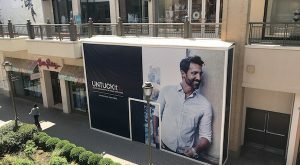 John Whitworth said a local architect connected them to UrbanCore, whose historic rehab work has included a cluster of buildings at 1408 Roseneath Road in Scott’s Addition, a mixed-use building at 118 N. Third St. and a forthcoming redevelopment of a former department store in Manchester. He said the third-floor additions were suggested by Frazier to make the units better suited to young professionals moving to the area. Frazier said the additional floor will have a contemporary façade with wood or hardieplank siding, while the existing two-story brick exteriors will be preserved with new wood windows and streetscape enhancements. “We’re really trying to bring the streetscape back to what it was when these homes were built in the 1870s,” Frazier said, referring to their construction by James Netherwood, an English immigrant and local granite supplier whose imprint on Richmond includes the Old City Hall building and Robert E. Lee monument. “We’re trying to keep intact the historic fabric as much as possible, so you feel like you’re entering a historic home, but above and beyond that, have a contemporary home with modern bedrooms and bathrooms,” he said. Frazier said more detailed plans and renderings would be released when the units hit the market. One South’s Andrea Levine, who is marketing the units, said sales would start in February. The project is scheduled for completion early next summer. John Whitworth did not disclose the project cost or how much he and Benedicte have put into it. He said Village Bank is financing the majority of the cost. The Whitworths purchased the units, including the completed corner space, over 10 months in 2014 for $159,000, according to city property records. The purchases were made through Deworth Restoration Associates, an LLC the Whitworths formed for the project with previous developer Deanna Lewis. After the project became mired in a legal dispute, the parties reached a settlement in bankruptcy court in which Lewis agreed to abandon her interest in Deworth. Lewis previously had filed an $8.35 million lawsuit against the Whitworths that was released due to the settlement. With that chapter closed, John Whitworth said, he and Benedicte are looking forward to seeing the project through to completion. UrbanCore’s Andy Beach, whose firm has been active in the Church Hill area with dozens of home rehabs and new construction projects, said the project’s resurrection is welcome in the neighborhood. “We had followed the ups and downs of this project, so when they approached us, we were excited that they wanted us to take a look at it and for us to be a part of it,” Beach said. The project’s revival adds to other signs of activity and investment in the area. Last week, Steve Markel announced the addition of FeedMore executive Norm Gold to lead the development and management of a new grocery store at the planned Church Hill North Retail Center. And construction is wrapping up on a mixed-use building on a triangular lot along North 23rd Street – another UrbanCore project. Note: This story has been updated with the project’s completion schedule and to note One South’s Andrea Levine is marketing the units. 2 Comments on "Redevelopment resumes at stalled Church Hill site"
Urban Core is one of the growing number of construction companies owned by young leaders contributing to the turnaround of Richmonds historic neighborhoods. 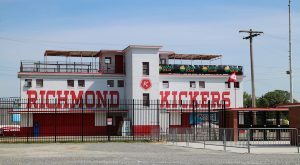 Although this one will not be an historic tax credit rebovation, it should be noted that the program , which is contributing hundreds of millions to the Richmond tax base, is under attack in the newly proposed tax bill. This is a huge mistake. The tax credit costs the federal government nothing, yet it brings so many benefits to the urban cores (intended) nationally.